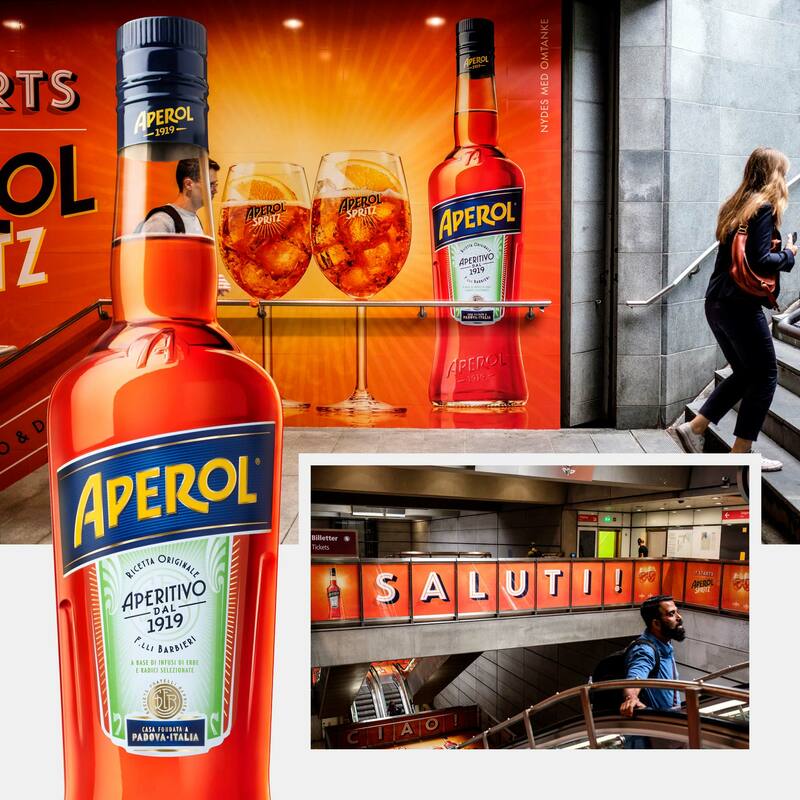 For the highly popular spirits brand Aperol, we created a campaign to promote Aperol as the drink of the summer. We developed a campaign specifically for the Danish market while staying true to the international guidelines. 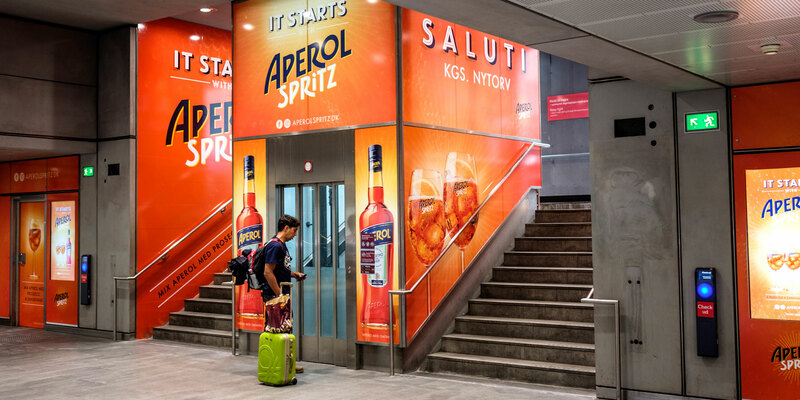 The eye-catching solution was tailormade to each city and to the specific media of the campaign. The result - record breaking sales.